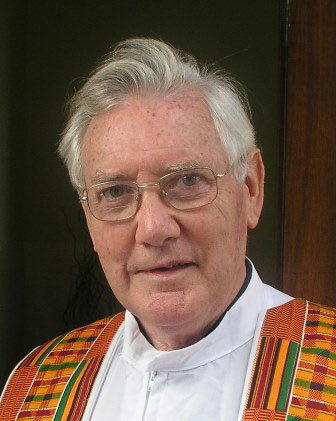 The death has taken place on Monday, 25 March 2013 of Fr William (Billy) O’Sullivan at the Bon Secours Hospital, Cork. Fr Billy had been hospitalised for several weeks. Earlier today we and his family were informed that he was dying. His family were with him at 3.25pm when he died. Billy O’Sullivan was the eldest son born to Jeremiah & Catherine O’Sullivan (née Crowley) on the Feast of Ss Peter & Paul, 29 June, 1933 at 21 Maddens’ Buildings on the northside of Cork City. He was baptised the following morning in the nearby Parish Church. His early schooling took place at the nearby North Presentation Convent. He then went to the North Monastery but soon left to work, for four years, as an Office Boy in the local brewery. A lifelong Pioneer, when asked how he could work in the brewery and not take a drink, his response was: I saw enough of it there to last me a lifetime. During his time there, with the idea of priesthood in his mind, he went to Night classes to do his Leaving Certificate. Armed with the necessary educational qualification, Billy responded to a call from God and entered the SMA Novitiate at Cloughballymore, Kilcolgan, Co Galway where he became a member of the Society on 2 July 1953. He undertook his theological studies at the SMA Major seminary at Dromantine, Newry. Due to his young age Billy was not ordained with his classmates (December 1956) but had to wait until 7 April 1957 for priestly ordination. The next three years were spent in the diocese of Kaduna, Nigeria. From 1961 to 1965 he was the SMA Vocations Director in Ireland where he travelled the country seeking vocations to the missionary priesthood. And God certainly blessed his efforts. Between 1961 and 2000, Billy spent 18 of those years in this ministry. At present the Irish Province has 191 members; and at least 70 of them were ‘recruited’ during the years when Billy O’Sullivan was on the Vocations team! It was said by the Vocations Director of another missionary Society: ‘If Billy O’Sullivan was in touch with you, you either joined the SMA or you decided not to join anyone at all’. Billy had a simple approach to ‘recruitment’: pose the specific question to a young lad: ‘do you want to be a missionary?‘ His ad in the Christian Brothers schools magazine – Our Boys – back in the 1970’s was typical of this view. The half-page ad had the following: ‘Do you want to be a missionary? If so, contact Fr Liam O’Sullivan SMA, African Missions, Blackrock Road, Cork’. No pictures, no gimmicky images. Just a simple straight question. In this age of advertising campaigns, Billy was direct and to the point. And he was like that to the end – direct in all his dealings with others. Fr Billy was seconded to the British Province (1981-1982) as Rector of the SMA Formation House in New Barnet. After one year there he returned to Nigeria to act as Spiritual Director, first at St Augustine’s Major seminary in Jos and, in 1989, at the new fledgling SMA African Foundation Formation House in Ibadan. He continued this ministry when appointed to the SMA House in Maynooth from 1992 – 1999. From 1995 he, once again, took on the additional work of Vocations animation and, after 1999, lived at the SMA House in Ranelagh, Dublin. 2001 – 2002 was given to Mission Animation, travelling around parishes speaking about the work of mission. The following three years were spent back in the SMA Formation House in Ibadan, built by Fr Des Corrigan SMA, as Spiritual Director. After a Sabbatical break, during which he did the three-month Spirituality programme at St Beuno’s in Wales, Fr Billy was appointed (2006) to a completely new type of work: Local Bursar at Blackrock Road. After handing on that work to Fr Eddie O’Connor he remained a member of the House staff until his retirement earlier this year. In his remarks on the occasion of Fr Billy’s Golden Jubilee celebrations, Fr Fachtna O’Driscoll, Provincial Leader, said that Billy’s forte was working with young people, particularly in the Scouting movement and his Vocations animation for the Irish Province. “Billy has a great generosity of spirit” was one of the phrases Fr Fachtna used about him. Fr Billy is deeply regretted by his sisters and brothers (to whom he was always lovingly ‘the Boss’) – Eileen, Noreen, Michael, Gerry and Kathleen – as well as their families, other relatives and friends as well as his confreres in the Society of African Missions.